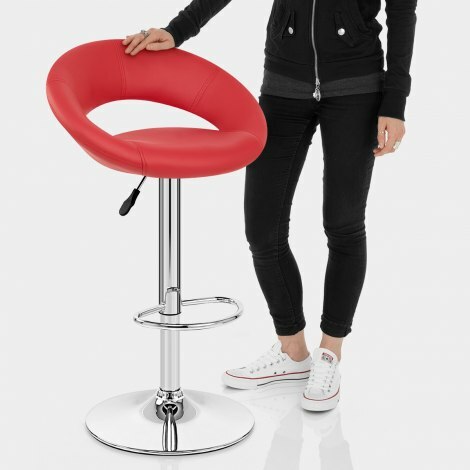 When first introduced by us, the Padded Crescent Bar Stool Red was all new to the UK. The dynamic profile of the Padded Crescent has in it design cues from both modern and retro trends, making it ideal for any purpose, be that a 70s themed breakfast bar, or a contemporary kitchen. It is easy to see where the Padded Crescent gets its name from, the arching backrest wrapping around the soft red faux leather seat. Both the seat and the backrest are sumptuously padded for excellent levels of support and comfort, even for long periods of use. The seat perches on top of a chromed stem, on which lies a hand crafted footrest, made from tubular steel and then plated in chrome. An adjustable height gas lift with a 360 degree swivel mechanism gives added functionality, and the sturdy base comes with a rubber ring beneath to protect your floor. The Padded Crescent has a certain style and chic about it that transfers to the surrounding environment, making it an ideal choice for any type of user. 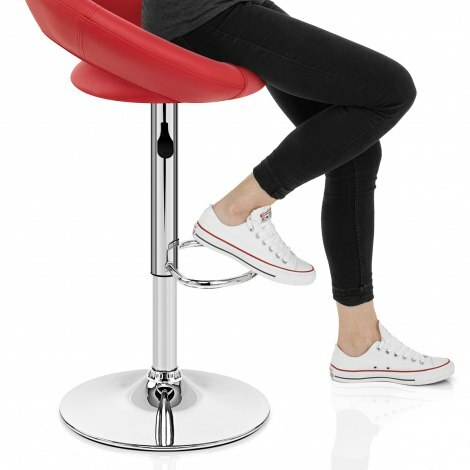 "They are hard wearing and look great in my kitchen"
Excellent Stool, comfortable, stylish and good delivery service. The stools compliment our new kitchen very nicely. They look good and are very comfortable. We are pleased with the quality. Really please with both stools. Easy to put together and very comfortable. Ordered and arrived almost over night. Really fabulous a smart, attractive addition to our new kitchen, easy to put together, good value and really comfortable. 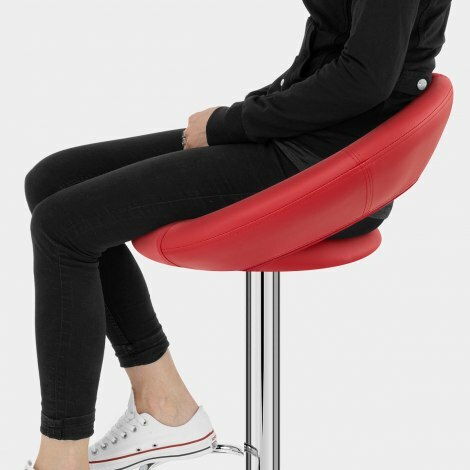 I would highly recommend this company and these stools.